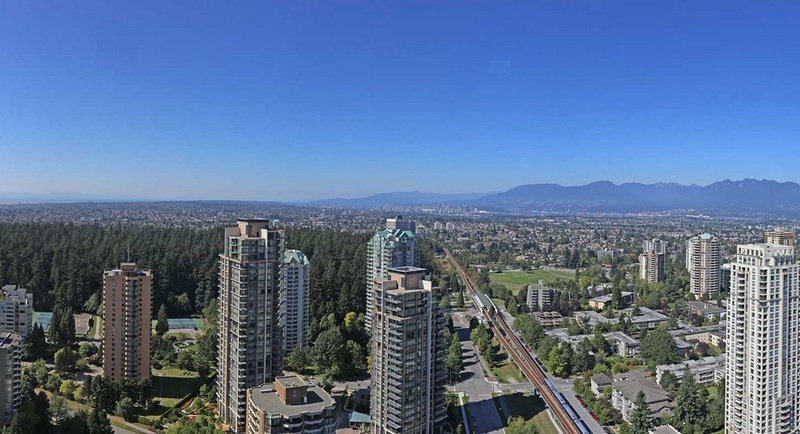 Modello‘s Grand Estates Collection is 12 luxury penthouses spanning the top four floors of the Burnaby high-rise. Inside, each home boasts 48-inch side-by-side Sub-Zero fridge and freezers, Master Chef Miele premium appliance package, spa-inspired bathrooms with heated marble floors, 10-foot ceilings, heated covered terraces and unbeatable Metro Vancouver views. 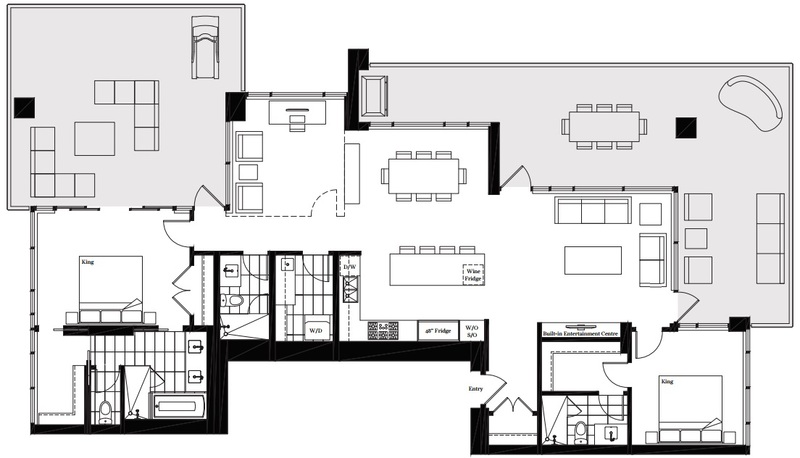 With three unique floorplans to choose from, the penthouse suites are two-bedrooms homes with a family room — but can be customized to include a third bedroom. The first of the Grand Estates Collection is this impressive 1,606-square-foot home with a 466 square feet of balcony. 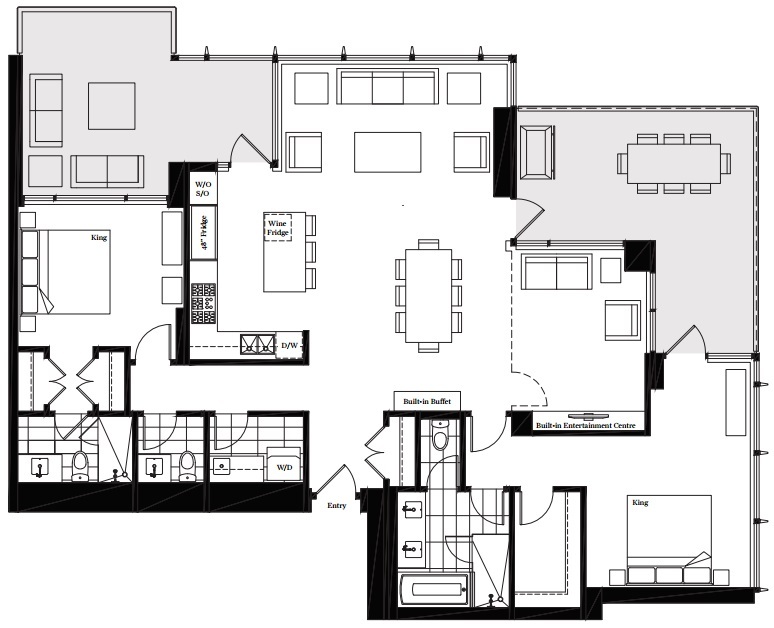 Or there’s the 2,139-square-foot suite with three bathrooms and two balconies. And the sprawling 2,729-square-foot penthouse with more than 1,000 square feet of outdoor living space. Like all Modello residents, Grand Estates owners will also enjoy access to the project’s many resort-style amenities, which include resident lounges, barbecue area, garden terraces, outdoor fireplaces and a hot tub, fully-equipped fitness facility, yoga space, steam room and much more. 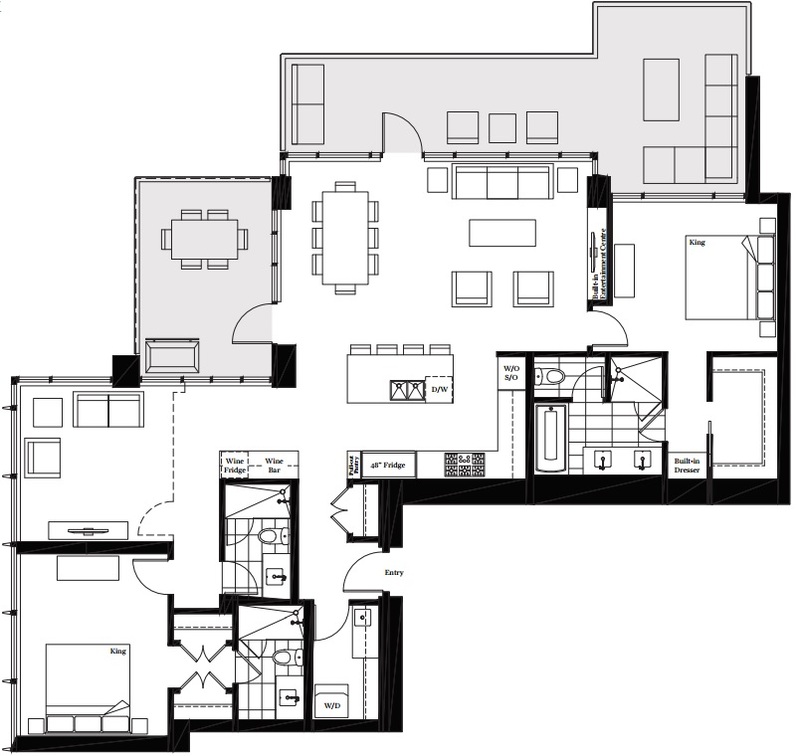 To learn more about the Modello penthouse suites, or any of the other high-end homes, visit the presentation centre at 118 – 5021 Kingsway in Burnaby. The facility is open from 12pm to 5pm Saturday through Thursday.